Sara wanted to get to 63kg and we set this as her goal. Taking measurements and photographs to benchmark Sara’s starting point. Benchmarking her daily calorie expenditure. Setting a goal. Sara wanted to get to 63kg. Setting an initial level for her calorie intake. We cut calories and assumed a calorie burn from exercise. It took Sara a few weeks to settle into a new way of eating. Once she got into the groove, Sara made good progress. Strengthen her heart, lungs and vascular system. Improve her ability to burn fat as a fuel. Improve her health markers and resting heart rate. Enable her to retain muscle whilst losing weight. Develop balance and improved functional capability. Sara’s posture improved and she is a lot happier with her shape. 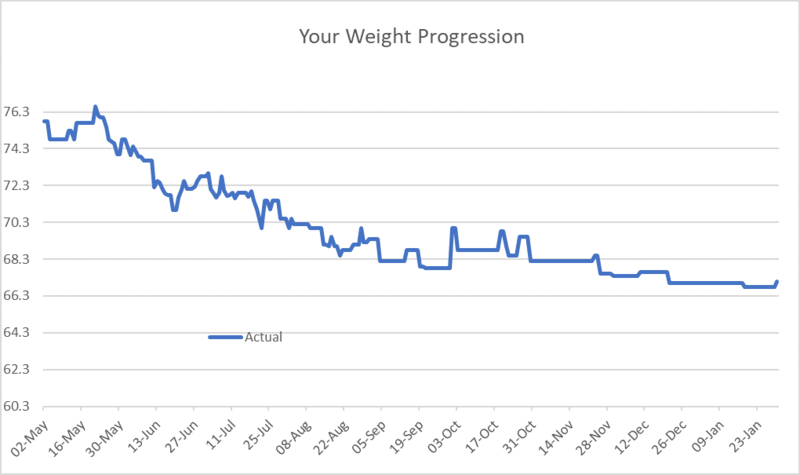 Sara lost 9 kg of fat and actually gained 0.3 kg of muscle in 8 months. That’s despite a slow down towards the end and having an eighth of the testosterone of a man! Sara felt she had poor strength when she started. By the time she finished she was lifting 70kg in the deadlift and pushing a 90kg sled! 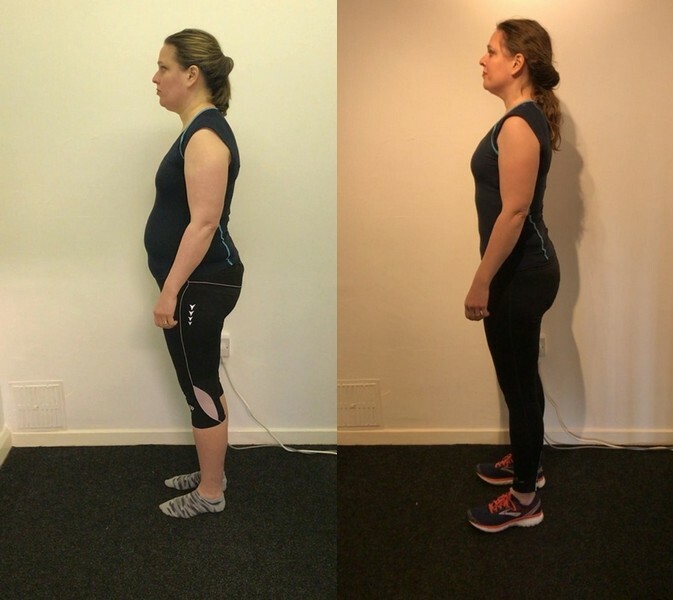 Sara lost 9kg of fat and gained 0.3kg of muscle in 8 months. That’s despite a slow down towards the end. 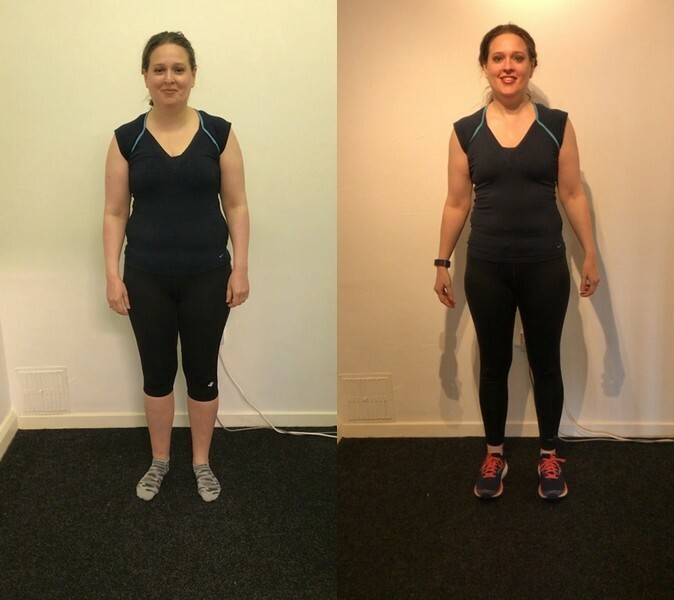 Crucially, Sara now has a lifestyle that she loves, can maintain and that will help her continue to lose weight and maintain it for life.